It's so practical that you'll take it on all your travels... 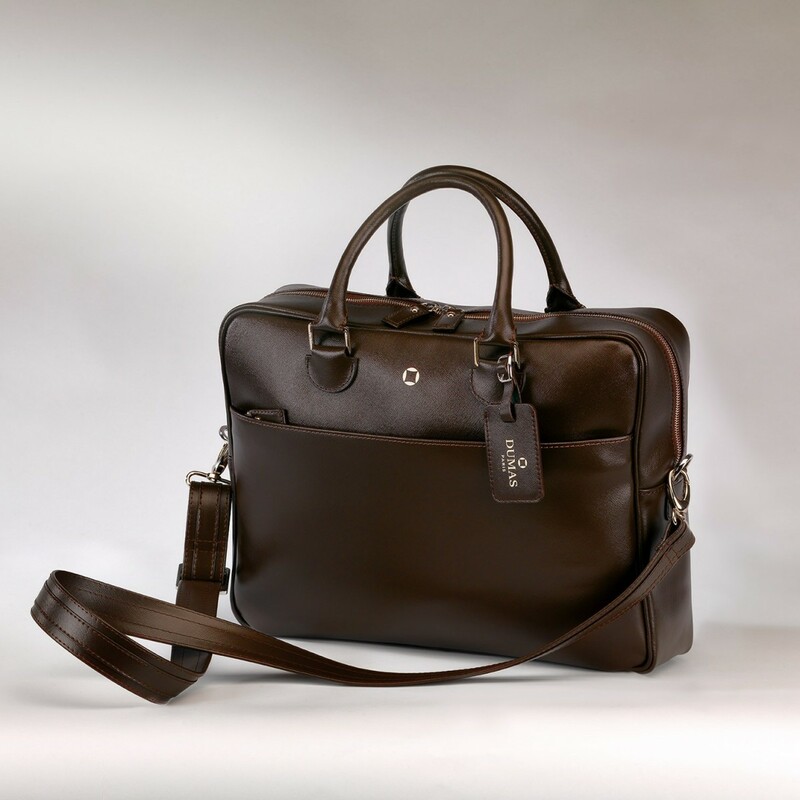 This luxurious leather travel bag has two essential pillows for a sweet night wherever you go. It contains a 65x40cm rectangular pillow and a neck cushion. To have the certainty of sleeping well despite the jet lag, to find everywhere comfort of exception, what more valuable? The Dumas Paris travel pillow was created to accompany you on all your trips. 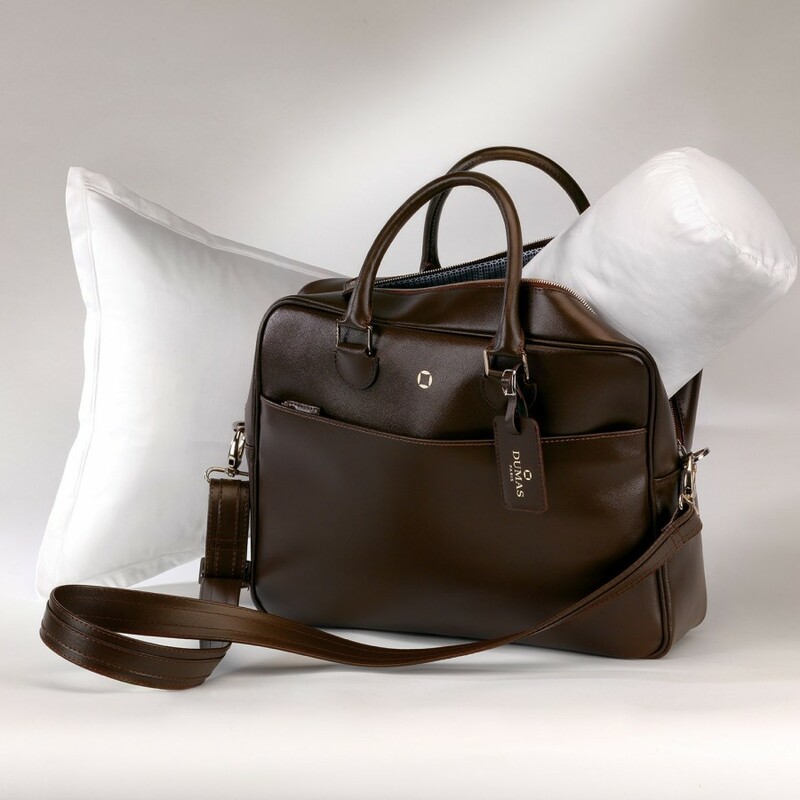 Sold in an elegant saffiano leather bag, the travel kit consists of a 70% down, 30% new duck feather pillow with soft comfort as well as a neck cushion. Pillowcases in white cotton percale complete the set. We will have the pleasure to offer you embroidery of pillowcases to your initials or your coat of arms. Customized products can not be returned or exchanged. Composition The travel pillow by Dumas Paris was created to accompany you on all your trips. Sold in an elegant saffiano leather bag, the travel pillow is filled in 70% duck down, 30% new duck feather to provide a soft comfort and a neck-roll. Pillowcases in white satin cotton complete the set. We will have the pleasure to offer you embroidery of pillowcases to your initials or your coat of arms. Customized products can not be returned or exchanged. Tailor-made and embroidery This registered model can not be made to measure. An embroidery with the initials of each person can be sewn on the pillow. Tailored or embroidered pillows can not be taken back or exchanged. The label Haute Literie® guarantees the origin and quality of Dumas Paris products. This label of excellence carries a unique know-how passed down from generation to generation in the Dumas Paris workshops in Tonnerre, Burgundy.